Gordon M. Jacobs was born in Chicago, Illinois, on April 12, 1955. He received the B.S.E.E. degree from the University of Illinois, Urbana, in 1976 and the M.S.E.E. degree from the University of California, Berkeley, in 1977 under a graduate fellowship. 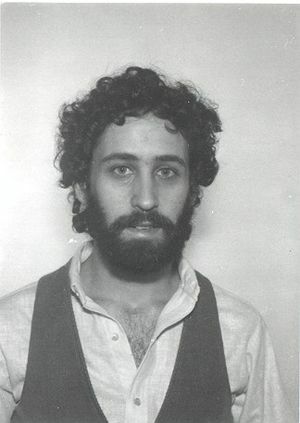 During the academic year 1975-76 he served as the head technician in the Electronic Music Studios at the University of Illinois and he was a teaching assistant at the University of California throughout his graduate studies. From 1977 to 1978 he was with Silicon Systems, Inc., in Tustin, California, where he was involved in the design of integrated signal processing systems using switched capacitors. Currently, Mr. Jacobs is a project engineer at Dolby Laboratories, Inc., in San Francisco, where he designs equipment for use in audio noise reduction systems. This page was last edited on 19 February 2019, at 18:48.